I hope you are all having a fantastic day and week so far. You might have noticed that there are a lot of posts coming through. I just have so many things to share with you and I can’t wait to do so. So I am just jumping right in with a new favourite. A while ago I received the Crabtree & Evelyn ultra-moistering hand therapy in my #BloggersWhoBless goodie bag. If you have missed me mentioning the #BloggersWhoBless or if you want to find out more information then please pop on over to the amazing Heather’s blog or pop over to the Bloggers Who Bless – About Us page. 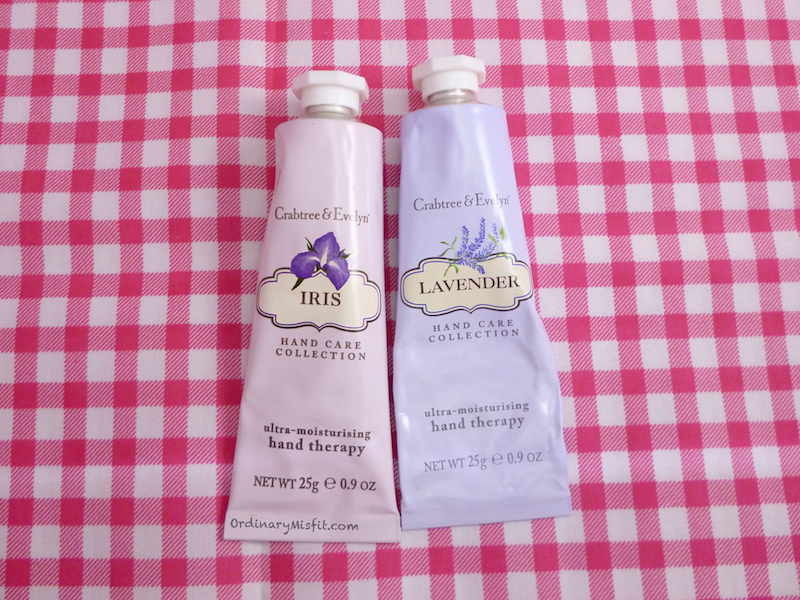 I received 2 of these Crabtree & Evelyn hand therapy lotions, one in Iris and one in Lavender. I am not really a fan of Lavender in general. The smell doesn’t appeal to me at all and I usually try to avoid anything that is lavender scented. Based on that, I wasn’t very eager to try the lavender scented one. I did eventually try it and I was quite surprised. 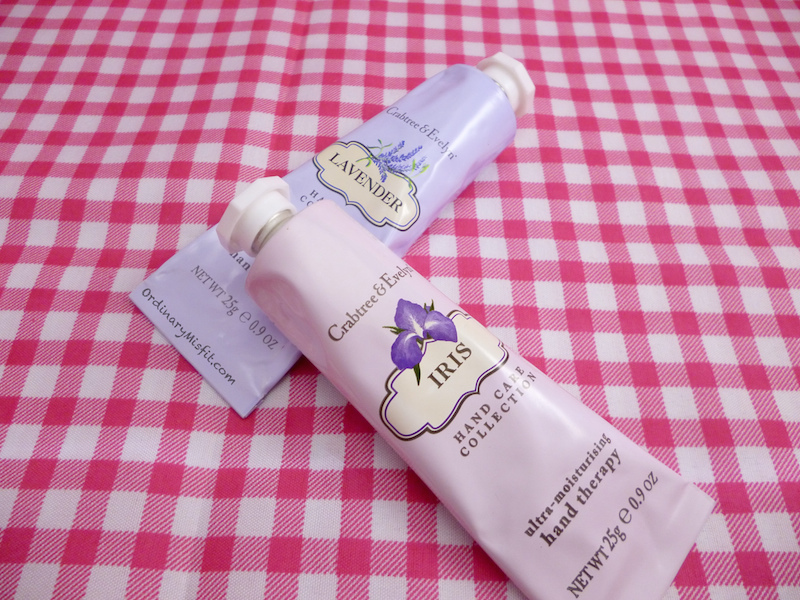 It is a very natural lavender smell instead of the imitation lavender smell I have become used to. It was also quite a subtle scent so in no way overwhelming. Of course I do prefer the Iris smell in general but I actually do like the lavender as well. When I applied this for the first time it felt really thick and buttery and my immediate concern was that this would be more of a butter and might leave my hands a little greasy. I also immediately knew that it would be really moisturising. Imagine my surprise when it soaked right into my hands and didn’t leave any greasy feeling or residue. Boy is it moisturising too. It literally feels like a hand butter but soaks right into your hands like a lightweight lotion. I’ve mentioned before that I am a little over the top with my hand washing and even though I washed my hands a shortish while after applying this lotion I didn’t feel like I was washing it away either. 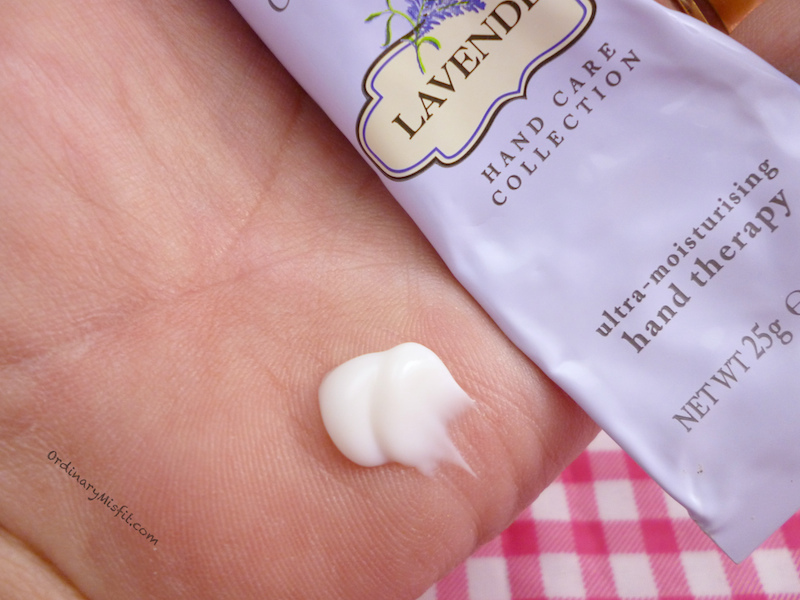 My hands also still felt quite moisturised after washing and before applying more lotion. I am absolutely obsessed with this hand therapy. The ultra-moisturising part in the name is also dead on. I can highly recommend this lotion and even though it might be a little pricier than many other brands it is absolutely worth it. In my opinion you can use this in the morning and your hands will feel moisturised throughout the day. You can always use another favourite lotion during the day if you wash your hands as often as I do or just need a little boost of moisture. I also use this in the evenings after I have washed my face and everything I needed to do. That way by the time I do my nightly nail care routine it has been absorbed well and will add a little moisture to my routine as well. You can find these online at Crabtree & Evelyn or in one of their stores (find a list of stores here) or you can also find them on RubyBox. Have you tried this yet? What are your thoughts? Do you have any other hands lotions or creams I should try?